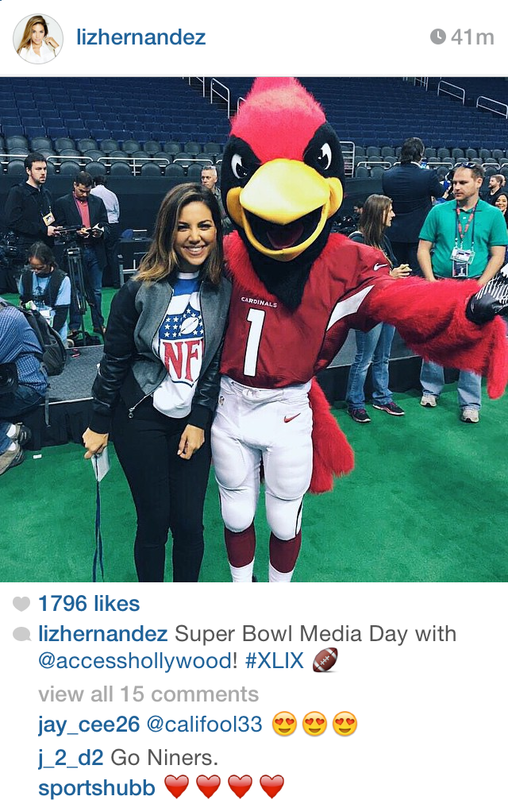 Liz Hernandez posted a picture on Instagram wearing Junk Food x NFL! 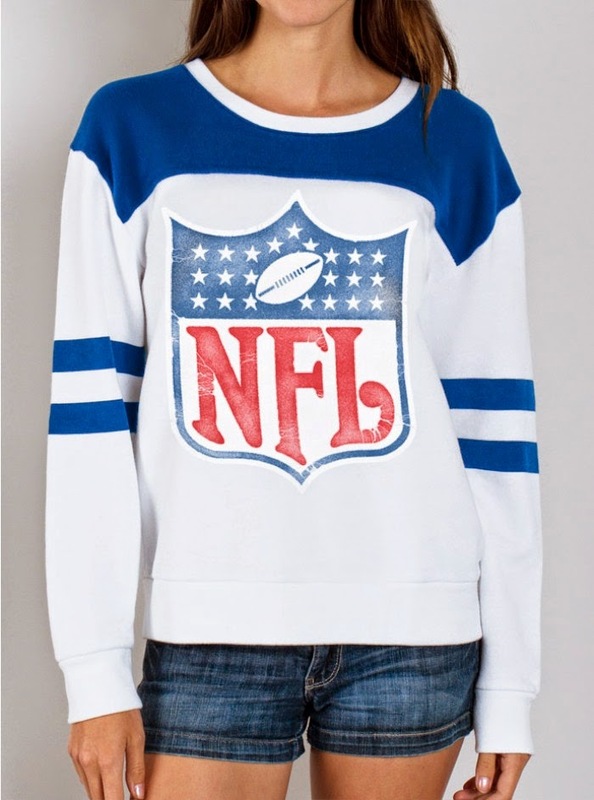 The Access Hollywood correspondent sported her NFL Shield Sweatshirt while at Super Bowl Media Day in Phoenix, Arizona for Super Bowl XLIX ($65; www.junkfoodclothing.com). Here is a fashion model wearing the same sweatshirt. 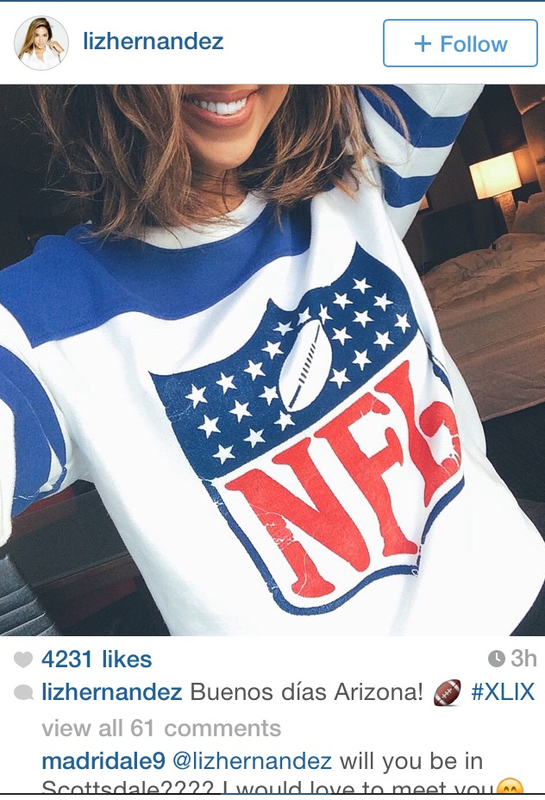 Guess who else the fashion blog has spotted wearing a Junk Food clothing brand NFL shirt. Yeah, more stars have been spotted, we can't be expected to do all the work for you. If you want to see others, you can use the search engine toward the top of this page. Born and raised in Southern California, Hernandez served as the long-time radio co-host of the #1 rated and nationally syndicated morning show, “Big Boy’s Neighborhood,” on Los Angeles’ influential Power 106 FM. It was there that she was called “The Queen of Entertainment News” for her daily “This Just Handed to Me” segment. In 2007, she began working as a correspondent for MTV. Liz Hernandez joined Access Hollywood back in early 2014. Liz’s first assignment for Access Hollywood was interviewing Miley Cyrus!